As the 2018-19 NHL regular season nears its end, it looks like the Flyers are going to finish a handful of games back of a Wild Card spot in the East. However, the hype around their young rookie goaltender, Carter Hart, shouldn’t cool down. If Elias Pettersson carried the rookie class the first half, the second half, without question, has belonged to Carter. His Young Guns RC is still very strong, the parallels even more so, and now that his autographs have been in the last few products from Upper Deck collectors have reacted in a big way. Let’s take a look at some key sales that have helped define the hype. Right now, Carter only has two cards with the rookie designation in our database. 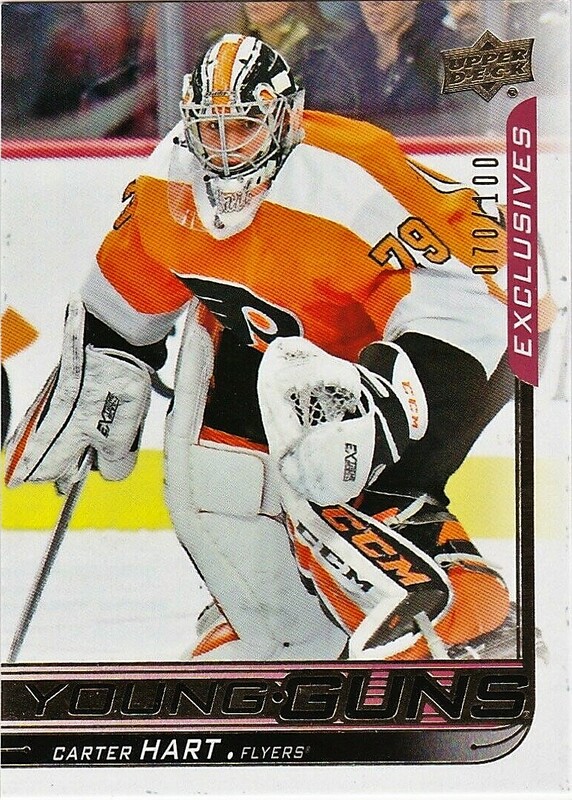 The first to hit the market was his 2018-19 Upper Deck Series 2 Young Guns Rookie, which has been the most chased after card in the set. 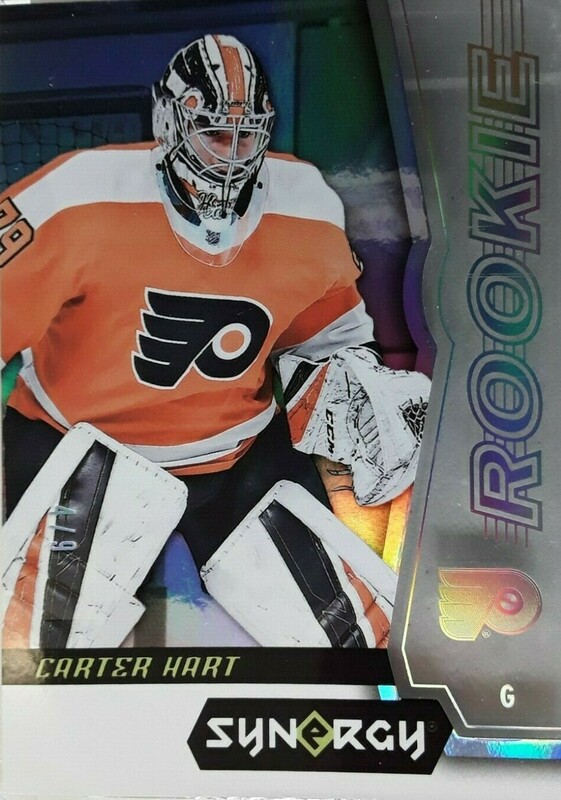 The most recent Carter Hart RC can be found in Synergy. With only nine copies available, tracking one down might prove to be too much of a task. But one did sell on the secondary market recently for just over $900. Where parallels are concerned, this one is king of the base set — unless a High Gloss surfaces soon. The initial sales of this card were ranging in the $500 – $700 range but have cooled down a bit. 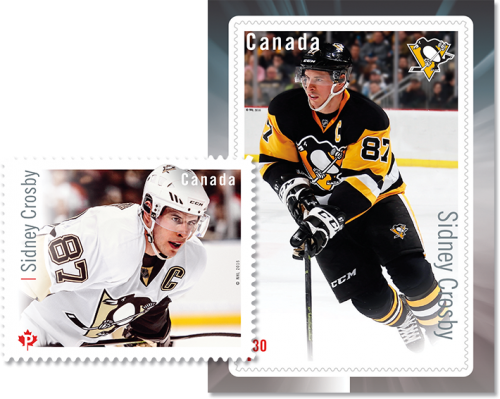 If you are lucky enough to pull one I wouldn’t hesitate in finding a Flyers collector looking to land one for their collection. Even though Hart isn’t found on the SPx base set checklist, you will find him in this unannounced autographed checklist with a print run of just 199 copies. 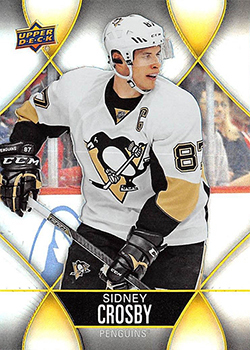 There is also a Gold parallel that is limited to just 25 copies. Both have sold recently in the $250-$500 range respectively.